It was a superb Saturday morning, full of white elegance at this year’s ‘Bridal Salon’ by The Gloss magazine. It was an all day event hosted by wedding planning expert Tara Fay of Xena Productions at the glorious 5 star Merrion Hotel. FAO Millinery were only delighted to have the opportunity to match our crisp hats with Helen Cody’s stunning bespoke dresses for any contemporary bride. The day started early for the brides-to-be with ideas and inspiration from the perfect dress to the hat to makeup, hair, flowers, cake tasting and covering all questions down to the stationary. What a way to start the wedding season! FAO Millinery is excited to be part of the Bloss pop up in Dundrum Shopping Centre up until the beginning of January 2019. Bloss presents their winter edition of up to 40 Irish designers in one absolutely beautiful store in Dundrum. It is full to the brim of gorgeous items which support Irish design and smaller businesses. Perfect unique gift ideas for yourself and your clan this Christmas….girls, guys and kids. 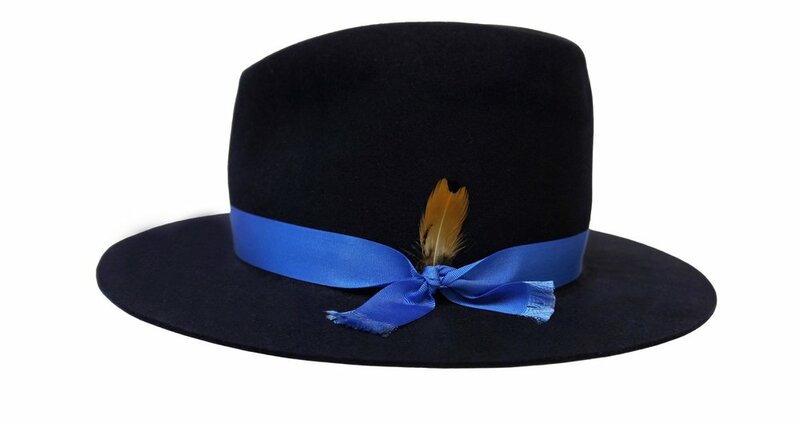 There is a selection of different styles from FAO Millinery. So if you are in need of a hat to add to your everyday style or a headpiece for that winter wedding or Christmas party, feel free to try them on and see what suits you. This coming Wednesday, the 7th March, there will be 8 fab designers under one roof for the Irish Designer Sample Sale. 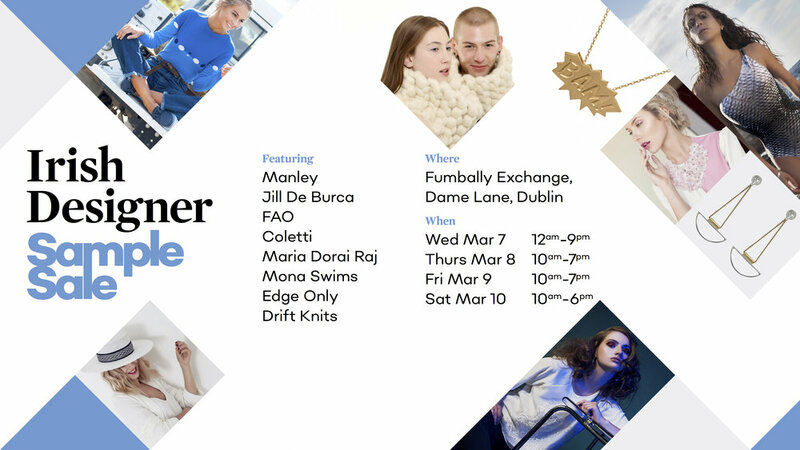 We will be back in Dublin at the Fumbally Exchange , Dame Lane kicking off at 12am! If you around in the evening and fancy popping in after work we will be having a bit of a shindig from 5pm with some tunes, drinks and nibbles to your magpie eye beady. Everybody's welcome!....Bring friends!..... Bring family!..... bring anybody that would enjoy unique, beautiful designs by Irish designers in fashion, accessories and jewellery! Fashion Show Fundraiser for NMH, Holles Street. FAO Millinery was only delighted when asked by Electronic Sheep to crown their aw17 collection for the 6th annual fashion show, for the National Maternity Hospital, Holles Street. It was a fabulous night held at the royal hospital kilmainham in the great hall, styled by Catherine Condell and hosted by Anton Savage with all proceeds going to Helping Holles Street NMH Foundation. styled for Electronic Sheep's vibrant, 'universal cowboy' collection, our hats were a combination of the Bruma crown with a tousled brim in earthy tones and colour popping trims.